Amidst the throes of the American Revolution, a horse named Figure was born. He would become the single most influential stallion in our relatively brief national history, becoming the standard of perfection for America’s first breed registry. Quietude Jubilee Kingdom: Physically and mentally, Kingdom is a fine representative of both the Foundation-type Morgan (as a Lambert, he is “pure Foundation”), and well represents the baroque physique I value. Figure’s numerous progeny would become renowned for their pervasive beauty, personality, athleticism, and hardiness. The demand for his genetics would make him a singular point of departure for essentially all light horse breed registries subsequently begun in the US, including the future Quarter Horse, Saddlebred, Standardbred, and others. Though most people associate the Quarter Horse with the mythical “cowboy” of the American West, few realize it was not until the (relatively recent) 1950’s that the popularity of the Quarter Horse overtook the Morgan. By this time, the sun had long set on the great cattle ranches. Quietude Roman Empire (QTD Jubilee Kingdom x QTD Miranda), Henry Fleming up. The Quarter Horse himself emanated largely from the working Morgans of the West. The earliest “Quarter Horses” would have been indistinguishable from the ‘Western Working’ family of foundation/heritage-type Morgans which preceded them – a family a few Morgan breeders continue to foster today (Visit Gab Creek Farm, where John Hutcheson can tell you just about everything there is to know on the topic). The American Quarter Horse Association was not actually established until 1948. Since then, it’s breed registry has never actually closed – which means that it is arguably a “type” of horse rather than a “breed” per se. 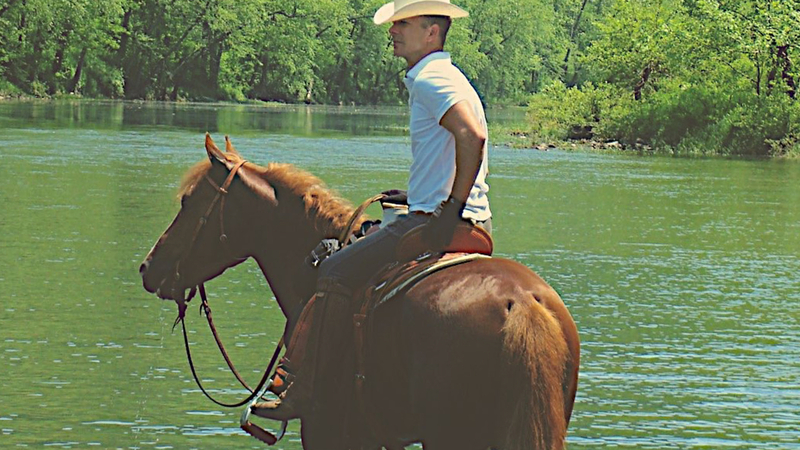 (For a deeper dive, read “Justin Morgan’s Contribution to the Quarter Horse”, by Jeanne Thomas). Since the 1950s, show ring fashion has (as it always seem to with time!) created a halter-type Quarter Horse, whose phenotype lacks any real historical relevance or utilitarian purpose beyond pageantry. With weaker, smaller feet below finer bone (bred to appear small and therefore make the body appear more muscular), carrying an excess of body mass (reducing endurance), and a downhill frame (valuable for quick starts and draft pulling, but destructive to the potential for collection, balance, and rapid mobility in any direction other than straight forward), this modern creation would have had little purpose on the range, where the most useful animals had very different features. For over a hundred years preceding, the Morgan did more ranch work than any other breed. Ranch work was only one of many applications of the Morgan. The Morgan has also been the United State’s foremost war horse. He’s fought in more American battles and carried more US soldiers than any other breed, including Union and Confederate soldiers. Abraham Lincoln drove a pair of Morgans to work almost every day. The Morgan would remain the US Cavalry’s preferred remount until virtually all cavalries were unmounted after WWI. “Heritage” is the term I’ve settled on for the type of Morgan I prefer, for the simple reason that most of the other obvious adjectives have been claimed by that or this group already; and, in general, their criteria exclude too many fundamentally correct animals based on, ultimately, arbitrary dates and distant relatives. 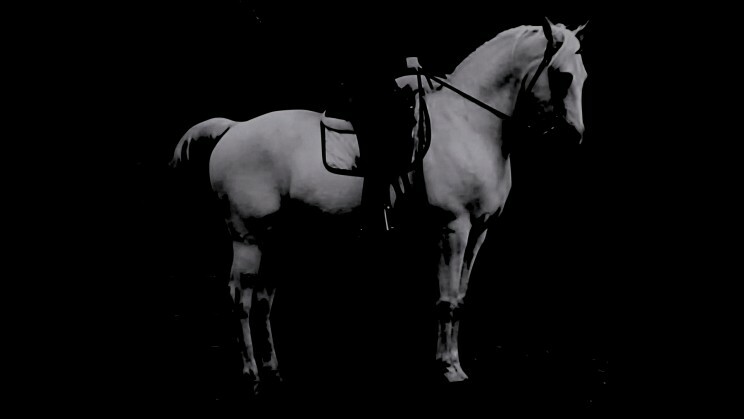 A registrable Morgan physically resembling the relatively baroque features of the original Morgan horse. Pure “Foundation Morgans,” including Lippitt (or Woodbury), Lambert, Government, Brunk, etc. In the world of Morgans, there are two over-arching tribes: the “Show Morgan” set, and the “Foundation Morgan” enthusiasts. The philosophical divide is at least semi-contentious. Neither group seems to have much in common with the other, except their fundamental fondness for horses. Foundation Morgan enthusiasts are rare at breed shows; they are a statistical minority in terms of both people and horses; and they tend to view Foundation-types and Show-types as, essentially, different breeds. Show Morgan enthusiasts, as the moniker implies, tend to focus on the types of animals that will win in American Morgan Horse Association (AMHA)- sanctioned shows, and, naturally, this group dominates the AMHA itself. 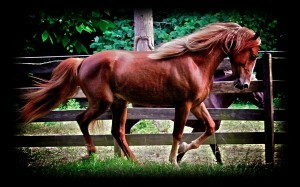 So what’s the real difference between these two types of Morgan horse? I’m going to put more words around it, but the gist may be surmised with only three words: the American Saddlebred. To be clear, I have nothing against any Morgan, nor anyone who loves the Morgan – of any kind, of any type. If pressed, I land on the Foundation side of things for a couple of reasons. First, my ideal most resembles what we know of Figure (Justin Morgan – the first “Morgan” upon whose characteristics and genetics the breed was founded), and also of the horse described by Daniel Chapman Linsley in his wonderful history and appeal, Morgan Horses: A Premium Essay on the Origin, History, and Characteristics of This Remarkable American Breed of Horses, 1857. Second, in general, I relate better to the kind of people who fancy the Heritage-types of Morgans, and who, like me, have a preference for utility, and an aversion to “competition culture” and its inevitably meandering effects. This not a moral judgement, and I am certainly no one to judge anyone else. I spent the best days of my childhood and youth training for and exhibiting in the show ring – Western Pleasure, English Pleasure, Hunt Seat, emerging “Dressage” … whatever I could enter. 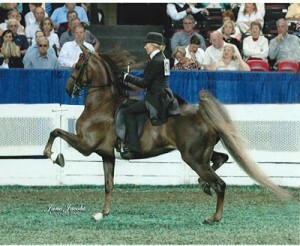 The values of the show ring, the style of exhibition, the practices which surround it, etc., have also come to bear an unmistakable resemblance to the “Park Horse” culture of the Saddlebreds, Tennessee Walkers, and, National Show Horses. These horses can be very beautiful animals. Spirited, swan-necked, fine-boned, and long-legged, indeed they can be an elegant picture. But it is not necessarily the picture of a traditional “Morgan,” originally a stout, heavier boned, heavier muscled, baroque animal whose popularity was borne of beauty and utility – well bred specimens could be mistaken for Spanish/Iberian horses. 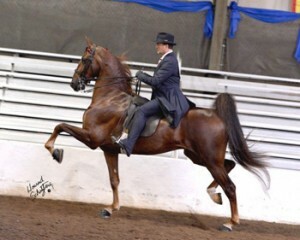 He would not have been mistaken for the modern Saddlebred (which, of course, did not exist, because the Saddlebred, ultimately, was bred up from Morgan genetics to be an exhibition horse – high stepping, animated, etc. ), nor a modern “Park” type Morgan. My concern with the current “show” type Morgan is the same I have with the prevailing “show type” anything. Invariably, breeders, exhibitors, and judges begin to prioritize form for over function. Witness American Quarter Horse Association (AQHA) “halter horses”, so overbred that it’s become a given: few owners use them for riding. Witness the Tennessee Walker, the poster child for virtually everything abominable in the horse-show universe. Whether intentionally or inadvertently, over time, people whose primary focus is upon ribbon-winning invariably sub-optimize in favor of a few highly visible characteristics, eventually creating a veritable caricature of the original form; a kind of Barbie-Doll phenomenon, resulting in an animal unfit for traditional work – undoing generations of more sensible selection. Big action and ungrounded notions of “refinement” – eventually – begin to come at the expense of not only other favorable and more valuable characteristics, but inevitably the animals’ well-being. Longer, thinner cannon bones do not hold up as well as shorter thicker bones. Taller, bigger horses have less practical “headroom” to afford the additions of hard work, the weight of a rider, and collection over time. Stacked pads and creative farriery risk numerous complications and lameness. Too much focus on any du jour physical characteristic will invariably affect the balanced temperament so prized in Morgans since their inception. But above and beyond what I think is an unfortunate breeding trajectory, I simply cannot control my rage when I consider the seemingly unavoidable slippery slope to the savage methods which eventually come into play as people begin to go for a little more action here, and little higher tail set there, etc. First a longer toe … then pads … then chains … and ultimately chemicals and surgically “enhancement”- and to no defensible end other than pageantry … which is not really defensible. 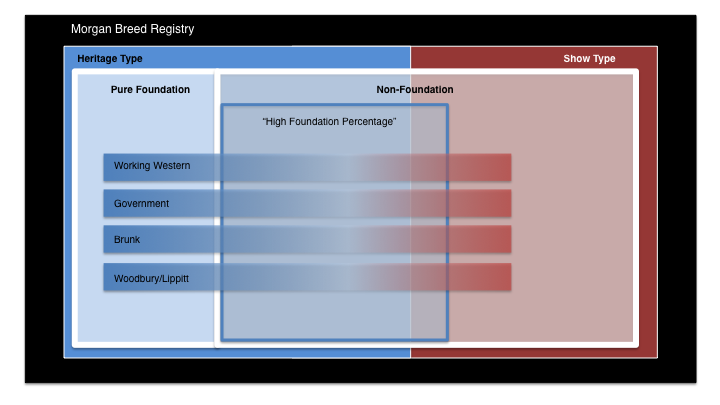 While I am most spiritually aligned in the “Foundation” Morgan camp, to me, the official “Foundation” definition implies some truly meaningful genetic difference between Foundation Morgans and “non-Foundation” Morgans. At extreme ends of the spectrum, there are; but, by and large, the differences rather arbitrary. 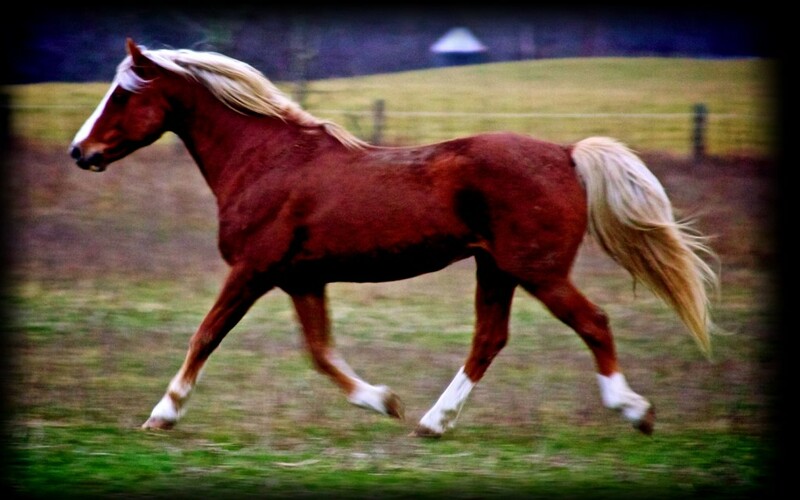 “Pure Foundation” Morgan bloodlines are defined as having no modern Saddlebred outcrosses after 1930 and their male tail sire line must trace directly to Justin Morgan.” This is a bit technical, and the implications are misleading. Consider that the Saddlebred, Quarter Horse, Tennessee Walker, Hackney, Standardbred, et al, each emanate – in large part – from the Morgan. One could go so far as to say each was representative of a particular type of Morgan at its inception – genetically undifferentiated from proper “Morgans” at the time. SImply put: the fact that a Morgan today has that or this cross to a “Saddlebred” (back when Saddlebred’s were, effectively, a sub-type of Morgan) does not necessarily make him a modern “Show Morgan” type at all. In fact he may well more resemble the “Foundation ideal” than a “pure Foundation” Lippitt (Woodbury) Morgan standing beside him. What really matters (for my purposes and in my opinion) is whether he is the result of breeding which has selected for a high-stepping “Park” archetype vs. a working “Foundation” archetype. Since 1930, there has been ample time to produce either type of Morgan – whether beginning with either outcrossed or “pure” foundation genetics. There is – I think obviously – this much pheno-typical range in a gene pool which spawned both our working stock horses and the forerunners of our “park type” breeds, right? But moreover, in the case of the Morgan, the notion of “genetic purity” becomes circular quickly considering the “Saddlebred’s” origins. He is not some distant, unrelated creature in 1930 (in the sense a Clydesdale or a Shetland Pony was) – he is at that time (and remains) a very close cousin to and a derivative of the Morgan. Secondly (I should have every mother in the universe on my side here), virtually all sub-sects of Morgan enthusiasm specify the male sire line’s relation to Justin Morgan as a special criterion – ignoring the dam-line genetics. A current scientific understanding of genetics makes this distinction especially non-sensical. If a given offspring is more related to one parent than than the other, it is unquestionably the mother, who passes 50% of the genes, but additionally an exact copy of her mitochondria and therefore mitochondrial DNA. Quietude Roman Empire / Henry Fleming 2014. Horse racing may be called the “Sport of Kings” due to the costs of participation. But prior to the British Civil War, the most treasured riding horses of European aristocracy – and, of course, the riding masters who instructed them and created the canon of classical manege and dressage, from Newcastle forward – have been of baroque type, a.k.a. Spanish, Iberian, etc. Putting subjective beauty aside, functionally, the baroque body type is best prepared to safely, comfortably accommodate the rigorous demands put upon the high school manège horse, as well as the finished vaquero-type bridle horse. In actual practice, both extreme applications (to which most enthusiasts will only aspire) demand the balance, power, and mobility resulting from the baroque build found in the remaining Iberian-based registries by whatever name, e.g., the Lusitano, PRE, Andalusian, and Lippizaner … and, I would argue, America’s original Morgan. Though I came to the similarity between the baroque breeds and the original Morgan Ideal on my own, I was certainly not the first to see it. Consider the below photo. 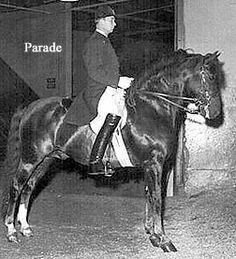 This is Parade, one of two Morgans on tour with the Spanish Riding School in 1964 at the invitation of Colonel Alois Podhajsky. Parade – One of two Morgans on tour with the Spanish Riding School in 1964 at the invitation of none other than Colonel Alois Podhajsky (Note: Compare this Morgan to the picture of the “Show” Type Morgan Above). Amigo, 2008 Morgan Gelding “Heritage Type” Morgan used for high school-level dressage (and everything else). There can be no question that the the classical manege/dressage ideal is easily accessible within the Morgan gene pool – whether “Foundation” or not. The issue is a matter of type and ideal, in my case – not lineage. The “white” horse above (a palomino in winter, actually) does not qualify as a “Foundation Morgan” as defined by the Foundation Morgan Horse Club’s definition. In fact, as an Amberfield’s Desperado Son, he is a descendant of Upwey Ben Don (1943) – perhaps the most debated “Foundation disqualifier” among Foundation and non-Foundation groups. He is somewhat taller than the typical Foundation horse – towering above my pure foundation stallion at about 16 hh. 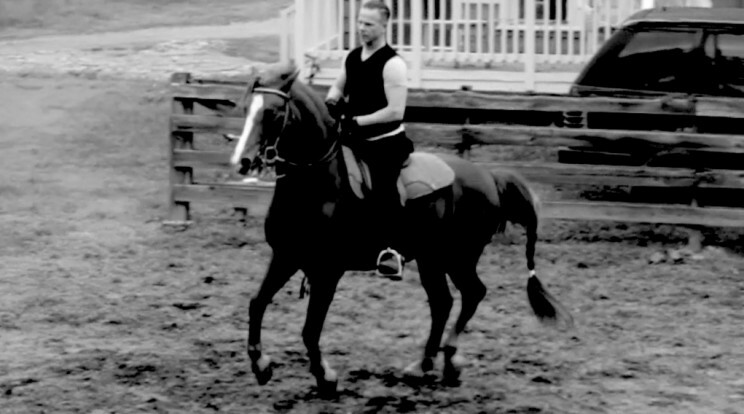 However, while you would not mistake him for a Saddlebred, he actually was mistaken for a Lipizzaner on multiple occasions at his first fox hunt which occurred within a month of the above photo.